KonchokZoepa wrote: oh i did not receive lung for my achi sadhana but i believe im authorized to practice it anyway. and my sangha friends intentionally gave me with effort an english version of this sadhana so i could practice it, even when i dont have lung. Well, since you believe it, it must be correct, right? I think I quite clearly stated in my previous post that (for me) the opinion of a complete stranger on an anonymous internet forum does not count as any sort of authority. Anyway, you don't have to be a lama to give a lung, you just have to have received it yourself and have been authorised to give the lung for the practice. At least that's what this anonoymous internet user has been told. Actually my teacher has authorised me to give lungs for "basic" mantra (Chenrezig, Tara, etc...) and practices. no i think there is real and precious value in lungs, just that it is not possible for all the tibetan lamas to go and give lung to every sadhana every disciple wants to receive a lung to. The lama does not have to be "tibetan" in order to give the lung. Sometimes lamas do not give lungs because they don't want the specific student to do the practice. what i think is stupid, is to stick to some stupid belief that you need an ''authorization'' to practice the sadhana. And your opinion counts how much exactly? Why exactly should I give credence to your opinion? In some cases the lung may be given during the empowerment, but only when stated. ...what the lung does is transfer the realization and blessing of the lineage and the lama to the practice that the lama is giving the lung for, so yes it is very precious but not necessary to engage in practice. Traditionally the lung was the ONLY method for receiving some practices. Practices were given orally, not in a written form. What are you talking about? You are saying that you don't need a lung because maybe you will not receive a lung from a retreat you have not yet taken part in??? Yeah. He probably saw Kenpo Samdup horsing around with the other monks and thought to himself: "Idle hands make for the devils work, what can I do to stop Kenpo Samdup from accumulating unwholesome effects? Hmmmmm...? I know! I'll make him give everybody the lung for the practice!" Why is there a Vajrakilaya sadhana and hundreds of other sadhanas on many websites, like vimalatreasures, namsebangdzo, samye ling, garchens website, vajrapub etc many other websites open for purchase without any reservation. they do not restrict them for only to those that have received lung or initiation to a particular sadhana. I don't know. Maybe you should ask them. I only go by what my teachers tell me. personally i would just practice the sadhana you like if you have and not care about little details like empowerment. its good to have it but if you feel strong connection with a practice, i think it would be stupid to not to practice it even if you dont have the empowerment. its a bonus but not a prerequisite. people seem to be blinded and follow strictly dogmatic viewpoint when considering the traditional way of things. this is not last centurys tibet where there is a lama around every corner to bestow the blessings. It is actually even easier, since the only thing one needs to receive practices is an internet connection. Last edited by Grigoris on Mon Jan 06, 2014 10:23 am, edited 1 time in total. I was not being passive-aggressive, I was being directly confrontational! If you insult me by calling me passive-aggressive again I will report you! oops the quote from me that you didnt quote but wrote it like it was your handwriting, replace the word empowerment with lung and then you have what i intended to say. anyway im not interested in arguing about this matter anymore. just to give you one more example. I have Garchen's Guru yoga sadhana, where it reads at the end of the sadhana that a student asked Rinpoche wether you need the lung to practice this sadhana, and Garchen Rinpoche replied, it is good to have the lung but it is not necessary, bodhicitta is the real transmission. anyway, i dont buy into this lung dogma that some westerners embody. i would like to ask Buddha what he thinks about is lung the only way to get yourself qualified to do a certain practice. i doubt that the buddha would agree with greg. KonchokZoepa wrote: anyway im not interested in arguing about this matter anymore. just to give you one more example. I have Garchen's Guru yoga sadhana, where it reads at the end of the sadhana that a student asked Rinpoche wether you need the lung to practice this sadhana, and Garchen Rinpoche replied, it is good to have the lung but it is not necessary, bodhicitta is the real transmission. I am not going to argue with Garchen Rinpoche. But, careful, he said this in regards to the specific practice. It doesn't necessarily mean it can be generalised to all practices. That said, of course bodhicitta is the real transmission. PS I don't know about you, but I am having a discussion and not an argument. Last edited by Grigoris on Mon Jan 06, 2014 12:06 pm, edited 1 time in total. KonchokZoepa wrote: anyway, i dont buy into this lung dogma that some westerners embody. Last edited by Grigoris on Mon Jan 06, 2014 12:10 pm, edited 1 time in total. ok im interested in hearing one more answer? what makes it wrong to do a certain practice without lung? and as a note, the Garchens vajrayogini restricted sadhana does not require lung. i agree that to higher practices lung would be good if not necessary but some like chenrezig or green tara or something like that. seriously what do you do karmically wrong or harmful if you practice these sadhanas? what is there karmically wrong in practicing sadhanas without lung? what is the effect? so im also following here Garchen institutes and their resident lamas and Rinpoche's advice and view's. as an add to that im a free thinker and i dont believe something that is a tradition or simply because someone says so. explain it to me in the context of karmic cause and result so maybe i understand why it is forbidden to engage in practices without lung. or is there another reason for this? or are you just simply defending blindly someone elses opinion on this without your own personally thought opinion? also my main practice, Chenrezig, i have not received the lung for it, Yet my refuge lama gave personally the sadhana to me and said practice this. i have to say though that to some extent i also believe the lung is necessary, but i have a feeling of needing to receive the lung for the sadhana individually. but this conversation started about green tara sadhana. and personally i dont think you need lung for green tara. maybe you need lung for Jigten Sumgön Guru yoga etc to higher practices but chenrezig, green tara etc. i dont think so. also using my head, i asked someone here that is it necessary to receive lung for narak kong shak. the answer was yes. i have no opportunity to receive the lung, but next time i order im ordering the sadhana anyway and going to practice it because i think its beneficial, now if someone says that you cant practice it because you havent received the lung out of belief and without true enlightened wisdom and reason behind it, isnt it obstructive and negative karma to persuade someone not to practice it because he has not received a lung. and I'm bringing in this context specifically in this purification practice where your intention is to purify negative karma. im not applying this logic to every single sadhana because my opinions differ on different practices. Forgive me, Karma Dorje, I am confused. I'm aware Heart raised the same point a few posts earlier and you replied by pointing out the part in bold (see the first quotation above), but from what I gather that bit was actually written by you, it's not part of the Institute's answer. Or was it part of another message you received from the Institute or Garchen Rinpoche? When there is no one to provoke anger, how shall we practice patience? On some issues "logic" is not a factor for me, not even in the slightest. I have seen more than enough examples of the validity of faith/trust alone to be able to able to give it the respect that it deserves. If your refuge lama told you to do it, who am I question their intentions? Again, this is a specific instance, it doesn't mean you can generalise to all situations. sorry if i have generalised. as you can see from my posts i have given many examples where the lung is not necessary. i have also said that personally i think that some practices indeed need lung. i have discussed for the sake of viewpoints and in encouragement to practice. but my point is that if its some harmless practice like green tara and you have the empowerment and the sadhana but you don't have any sight of anyone giving you the lung, maybe not for years. in my opinion it would be stupid to not practice. it could have many harmful effects and repercussions. i would practice and hope that i would receive the lung and the instructions at soonest possible time. but i would still practice instead of not practice. KonchokZoepa wrote: sorry if i have generalised. as you can see from my posts i have given many examples where the lung is not necessary. i have also said that personally i think that some practices indeed need lung. i have discussed for the sake of viewpoints and in encouragement to practice. but my point is that if its some harmless practice like green tara and you have the empowerment and the sadhana but you don't have any sight of anyone giving you the lung, maybe not for years. in my opinion it would be stupid to not practice. it could have many harmful effects and repercussions. i would practice and hope that i would receive the lung and the instructions at soonest possible time. but i would still practice instead of not practice. I will give an example from the martial arts milieu (where I am an official teacher). I find that it is easier to teach somebody (that knows nothing) to correctly practice a technique than to teach somebody that has learned and practiced wrongly. It is easier to learn something from scratch, than to "unlearn" a wrong habit (and then learn a new, correct, habit). yeah i agree, one thing that can help a start with that is to purchase a sadhana from vajrapub and choose the sadhana from the pearl rosary collection. an instruction booklet will accompany the sadhana. Ask the organization you are getting the Sadhana from if your prerequisite is met before you practice from that Sadhana. Give them all the details, if they have to ask a Lama from their organization before they can answer you, all the better. I think they may say you can do this from the book. For example, there are many practices at FPMT online (Gelugpa) that are restricted and many that are not, therefore they are very clear about which ones you can do without any empowerment and which ones require that you have the empowerment to practice. I agree with Greg about practicing the Tara text you actually have received practice permission to do. If you are applying what Garchen Rinpoche said, then you would want to get the text and hopefully a picture and mantra from Garchen Rinpoche's organization as that is the practice you have permission to do... if you want to know if what you have applies to sadhana found in Skillful Grace, The Tara Practice for our Times by Tulku Urgyen Rinpoche and Trulshik Adeu Rinpoche, perhaps you might want to look at the bigger picture for that lineage, how they tell you yidam practice fits into the overall scope of that path, and not just the idea of plugging in a practice from Drikung (no matter how you got it) into Chokling Tersar because you have that great Tara book...not that you can't do that, but I'd write them and see what they tell you, if they say thats fine then there you go, but if they point to the overall path and how the Yidam practice fits into that path then this maybe a different story, its just that there is more to having a genuine connection with a lineage and a master and a yidam. "He also told me that disciples who want to practice the Chokling Tersar, especially the teachings of Barchey Künsel and Künzang Tuktig, must go through the complete path of the preliminary practices (ngöndro), the main part, and the additional practices. "Simply practicing the ngöndro alone would be enough," he often said, "because the ngöndro is even more profound than the main part. The person who sincerely goes through the 'four times one hundred-thousand practices' will purify physical misdeeds by means of bowing down, verbal misdeeds by means of the Vajrasattva mantra, mental misdeeds by means of the mandala offerings, and their combination by means of Guru Yoga. The reason is that we need to purify our obscurations and gather the accumulations. While it may be possible to glimpse the nature of emptiness without any purification, due to our past karma and temporary circumstances, this glimpse is rapidly covered up again and forgotten. So don't delude yourselves; please apply yourselves wholeheartedly to the ngöndro practices." Tulku Urgyen Rinpoche said this over and over again. Once you allow these preliminary practices to take effect by purifying your obscurations, then you will automatically recognize the nature of mind, and your realization of the view will unfold further and further." So, my adivce is not to take a yidam practice out of the context of the overall lineage one is following, also don't take a teacher's instructions at one place, and think what that teacher is saying applies in an absolute kind of way to other places... find out what the other place does from the "other place"... something like that. This is a letter I received from Garchen Institute regarding the recorded empowerments. Motova wrote: So lets say I got the Green Tara initiation, what am I eligible to practice? Anything Green Tara? For example can I practice the sadhana found in Skillful Grace - Tara Practice for our Times by Tulku Urgyen Rinpoche and Trulshik Adeu Rinpoche? But there are various empowerment's and pith instructions so you have to connect with Chökyi Nyima Rinpoche. Is there any dzogchen in it ? I don't want to disagree with this, but to point out that Zabtik Drolma's Sadhana of the Four Mandala Offering is performed quite widely outside of the "strict" Chogling Tersar system. 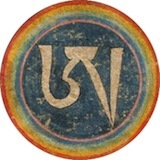 That sadhana is merely a part of the whole Zabtik Drolma as commented on by Magnus (and yes, Alpha, it has some connection to Dzogchen--though it's more of a graduated path presentation, with all the Yanas represented), which can be practiced as a complete path. And of course Sangtik KhorSum are also practiced widely by Karma Kagyupas, outside the "strict" Chogling Tersar format. But this is the result of Kongtrul, and those who followed him, including the Karmapas and regents, as well as Kyabje Kalu Rinpoche and his heirs....also the Sakyapas, to a great degree, I think. Chogling Tersar has other Tara practices as well as the Inner and Secret practices of Zabtik Drolma. Some are "stand-alone" sorts of things, while some are part of a graduated path, or auxiliary activity practices, etc. But regardless, I think even if one is taking on a practice such as the Mandala Offerings to Tara, it should be under the direction of one's Guru, and one should seek specific guidance about how that practice fits into one's daily recitations, commitments, etc.